In addition to LHP Ryan Feierabend and 3B Andy Marte, several other former Revs have re-signed with their organizations from last season, with the exceptions of Marte who is moving from the Angels to the Diamondbacks and RHP Josh Judy (Angels to Dodgers). RHP Mike DeMark (A’s), RHP Matt Fox (Mets), RHP Shawn Hill (Tigers) and 1B/OF Johan Limonta (Padres) are all vying to be the fifth former Rev to reach the Majors, (aside from Hill, who went from York to Toronto in 2012, making him the third). DeMark and Limonta are looking to be the second former Rev to make his MLB debut, following LHP Scott Rice who did so for the Mets on Opening Day 2013. Rice, following hernia surgery, is back on the Mets 40-man roster and will likely be back in their big league bullpen in 2014. We haven’t mentioned LHP Ian Thomas yet, who after a solid Double-A season with the Braves will likely be ticketed for Triple-A this season. He’s probably the front-runner for the next Revolution alum to reach the Majors. 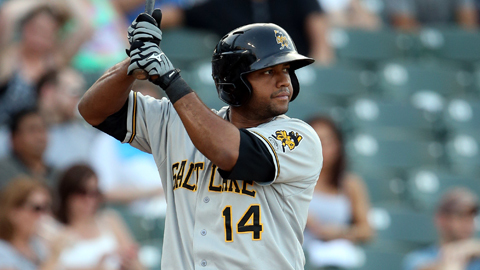 Limonta, Thomas and Marte all turned in outstanding performances for their respective organizations during the Double-A and Triple-A playoffs in 2013. When RHP Brett Tomko left the Revolution in August to enroll in the Kansas City Royals scout school, he stopped short of saying he was retired. The 14-season Major League veteran made 19 starts for the Revolution last season, and four more in the Dominican Republic during winter ball looking for one last invite to an MLB spring training in 2014. John Walk has a full column with plenty of quotes from Tomko on his blog. No word on where he stands with the Royals, or if that is still an avenue for him should he retire. Tomko will be 41 on April 7, but sure doesn’t look it. When a player’s contract is purchased from an Atlantic League team by a Major League organization, his new contract with that organization is only good through the World Series of the current season. At that point, the player becomes a free agent again. While it’s hard to believe the Angels wouldn’t want Andy Marte back after the season he had split between York and their Triple-A affiliate in Salt Lake, either the Angels decided to move on or the Diamondbacks offered Marte what he felt was a better deal. Marte, who has signed a minor league contract with Arizona, will head to Major League spring training on a non-roster invite in a couple months. At worst, an assignment to Triple-A Reno to start the season seems likely, with hopefully a call-up to the bigs at some point, to complete this story of redemption. In 2012, lefty starter Ryan Feierabend set the franchise single season ERA mark with the Revolution, posting a 2.91 in 17 starts going 8-5. He used that as a springboard to a contract with the Texas Rangers, and after a solid 2013, he’ll continue on the road to Arlington and a hopeful big league return. Texas will again bring Feierabend back to Major League spring training on a minor league contract, as they did last year. At worst, Feirebend will head back to Triple-A Round Rock where he started and came out of the pen last season. At best, he may have an opportunity to come out of the Rangers’ bullpen or spot start in the Majors at some point. 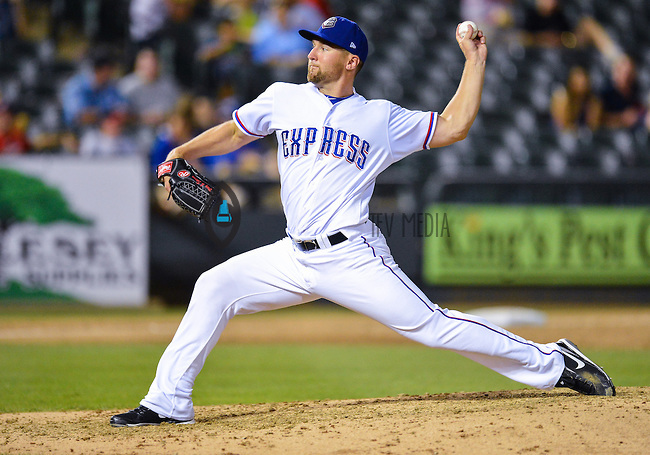 In 24 appearances for Round Rock in 2013 (16 starts), Feierabend posted a 3.66 ERA in 120 innings in the hitter/altitude-friendly PCL. 2014 will be his 11th professional season already, despite him being just 28. He debuted in the Majors at 20 in 2006, and between 2006 and 2008 made 25 appearances and 19 starts in three seasons with the Seattle Mariners, but hasn’t enjoyed any big league time since. After three seasons, one as an assistant and two as Baseball Operations Manager for the York Revolution, Andrew Ball is leaving the organization for a position with the Tampa Bay Rays. 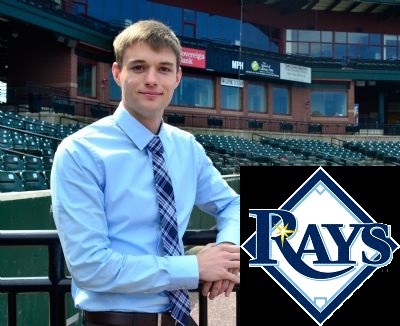 In mid-January, he’ll be joining the Rays as an advance scout, meaning he’ll be scouting the Major League competition in advance of Tampa Bay games throughout the season. Ball will be bringing his knowledge of advanced statistics and sabermetrics to one of the already more progressive organizations in baseball. Using those skills, Ball helped the Revolution to a 217-187 regular season record during his three seasons, the high point being an Atlantic League Championship in 2011 which was followed by another playoff berth in 2012. In June of 2011, Ball targeted free-agent first baseman Chris Nowak, who ended up becoming the Revolution’s all-time home run leader, with 59 in his two seasons with the club. Ball worked closely with Manager Mark Mason and Enohel Polanco to establish and maintain the Revolution roster. In the interim, Mason will continue player procurement for the 2014 season, with Polanco in his usual role of identifying talent in the Dominican Republic and rest of the Caribbean. Ball is a 2011 graduate of Gwynedd-Mercy College in Gwynedd, PA, where he was a pitcher on the baseball team.